Best buy quality bookends at always low prices from us. Bellaa decorative bookends Arc De Triomphe Paris - Paris attractions bookends. 7" Inches tall decorative bookends for home decor and libraries, you will love it. 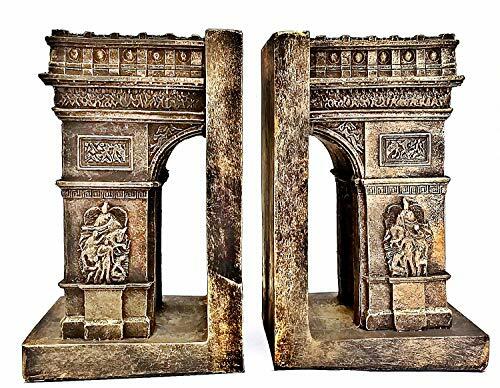 Detailed design decorative bookends, sold as a pair. Mesmerizing pair of bookends for home decor made from polyresin. Great utility and home decor accessories for any library or bookcase. Perfect gift for any book lovers or decorative bookends collector.